Gained Life Experience Points! Level up! An even happened last Sunday, September 22, that has had me processing and re-processing certain things about myself. As you may have guessed, I have been really looking at the things I don’t like about myself. I actually made list and careful examined each one. Several were marked through in short periods, but others, the more important, serious things, took some examination and intense honesty on my part. The list is not completed, or finished truly, I think, and several items remain. These will take a lot of work. It will take, I’m hoping, a month(s) instead of year(s) to work through these things. One thing I noticed was that I have seriously been over critical of myself and kept looking at myself from a “normal” person’s perspective. Yeah, I know – I thought I was over all of that, too. It has been there, deep down, for quite a while. It took a while a) to see what I was doing, and b) come up with a plan of action to put into action. I had to pay attention to myself, first of all. Thankfully I have my wonderful husband to help me with this. If I slouch very badly he always tells me. So, I started paying attention to my physical posture. Next came changing posture. For a couple of days I adjusted my wheelchair seat differently and made sure to sit up straighter. This was so uncomfortable in the beginning! My back ached, in different places – not the normal aches. Relaxing, a key point in tai chi was difficult as heck, in the new position. Thankfully I did permit myself to tilt regularly for at least five minutes at a time. I also made sure to take ibuprofen on a more regular basis for these days, too. Thank You God for ibuprofen! Amen. There were a couple of times when I had to meditate on the “Jesus Prayer” to relax different muscles. The second day was the hardest. As sitting in a better posture became easier, I began to see a difference in how I felt. I began working more. I became more confident. I smiled more. I played with Willie more and paid more attention to all the dogs. They relaxed more around me and were not so ready to find something to “argue” with. This especially helped Willie. He is still very much a puppy and he was a little confused to his place in the pack while I was so distracted. Willie Fu is more settled now and back on schedule with training. Slowly, I accepted one thing, again: I matter. I matter to people and creatures who love me and enjoy being around me. I matter to myself, because there are tons of stories inside me that really should see the light of day, if for no other reason than for me to enjoy telling them. The one person I mattered to most in the world is Carlos, dear Husband. He has put up with me a lot. When I have been at my worst physically and emotionally, Carlos didn’t go screaming into the night to get away from the crazy woman he was living with. Instead, he stayed, and he loved me through it all. He helped me through it all. Yeah, Carlos is human; he has his faults, and sometimes I wish I was big enough to give him a good thrashing, but: he has loved me steadily. Accepting I didn’t have to prove anything to anyone anymore was harder than it should have been, but I kept reminding myself of Sunday and everything has started falling into place – just like it did then. See, Carlos wasn’t feeling well, and we didn’t have tai chi after Church because it was Teacher Zen’s wife’s birthday; so we ate a snack for lunch after leaving Church and going to Barnes & Noble’s. Yes, how could I possibly say “no” to one of my most favorite happy places? After a quick kiss on parting, Carlos went roaming in one direction and I went in another. There were a number of people in the bookstore, but not crowded. It was a mixture of ages, and the babies I did see were quiet or laughing and giggling as their parents read to them or sang silly little songs to them oh so softly, as said parent looked through the stacks. I love going down one aisle in particular at Barnes & Noble – the science fiction/fantasy section. One part of this aisle is not overly tall and I get to actually see what is on a top shelf in a bookstore. As I was turning the corner, looking at a different section I backed up to see as much of a top shelf as I could. Still couldn’t see anything. This isn’t anything new, of course. When you are in a chair you don’t see what is below you well, or what is above you. All you can really see and reach are the middle shelves of anything. I moved for an older woman to go into the aisle and she looked down at me with a smile and then saw my controller. “My, that’s a lot of buttons!” We both chuckled, because there is a row of buttons on my new chair for different functions – legs, backrest, tilt, elevation…. I froze. I had not used the elevate button except at home for getting things off the divider, etc. I had not even though about using it while shopping. Not until that moment. As the chair began to rise I noticed I was beginning to see what was on the top shelf! Not only was I seeing the top shelf of books, but I wasn’t looking up at everyone either! I was looking them more to their eye level! 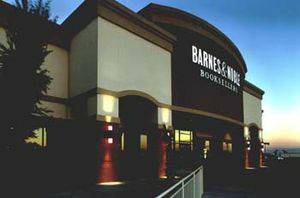 I went as far as my elevation control would let me go and I roamed Barnes & Noble in a different way – just like everyone else as far as I was concerned. In fact, I am physically taller when my wheelchair is elevated than in real life – year, I am that short. Once I became nervous because I looked down at something on one of the middle shelves and had a moment of vertigo. Yeah, I would lower my chair to look on the middle shelves from now on. Sunday night I told Carlos about my experience. It had to process a moment or three first. “I know you looked happy.” He was so happy for me, and with me, that’s when everything just went click. This entry was posted in 2013, arthritis, bad days, beautiful, celebrations, Church, dance, Emily Post, family, fiction, friends, funny, good days, good times, health, history, I feel, IMPORTANT, independence, instruments, life, marriage, math, mountains, pain, pets, pictures, poetry, science fantasy, science fiction, stories, tai chi, the internets, wheelchairs, Writers, writing, writing projects and tagged Arts, Barnes Noble, Fiction, Nook, Online Writing. Bookmark the permalink.